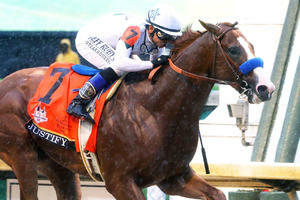 March 10 at Santa Anita saw one of the most thrilling finishes thus far on the Road to the Kentucky Derby. 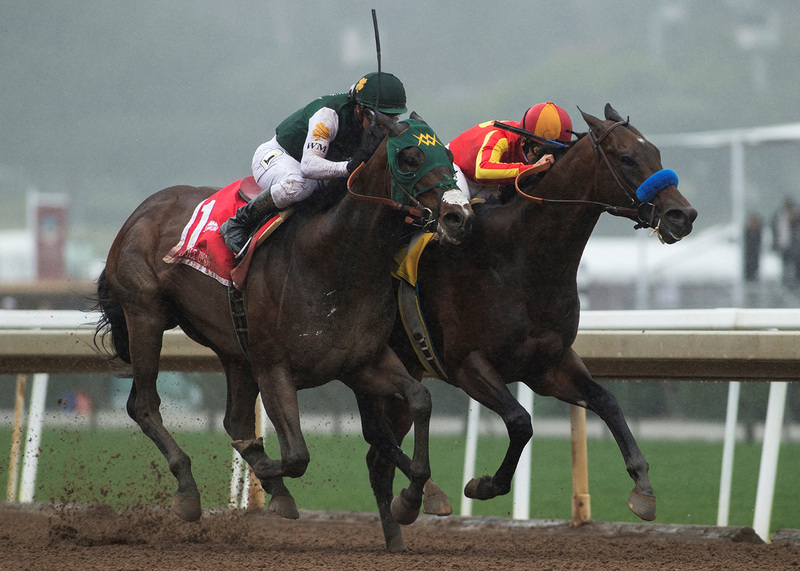 Bolt d’Oro and McKinzie, two top 3-year-old contenders, locked in a head-to-head stretch duel in the San Felipe Stakes (G2). 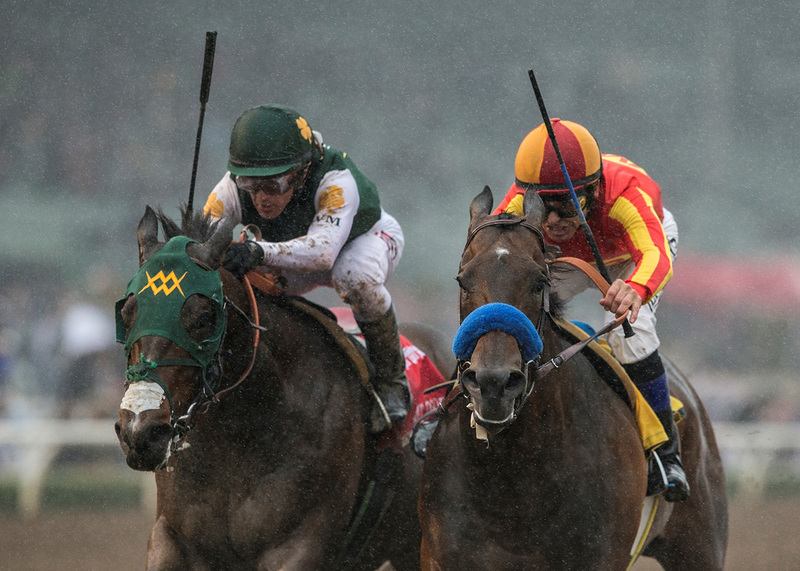 McKinzie crossed the finish line first, but was disqualified following a stewards inquiry and placed second, making Bolt d’Oro the winner of the 1 1/16-mile race. 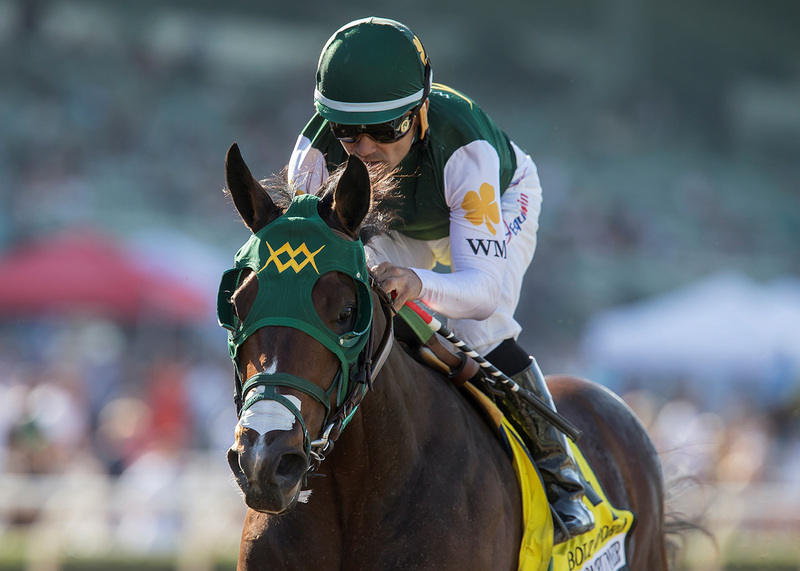 Bolt d’Oro earned 50 qualifying points toward the Kentucky Derby (G1) with the victory, and secured his spot in the starting gate for the Run for the Roses on May 5 at Churchill Downs. Bolt d’Oro won for the fourth time in five starts, which includes a pair of Grade 1 wins. 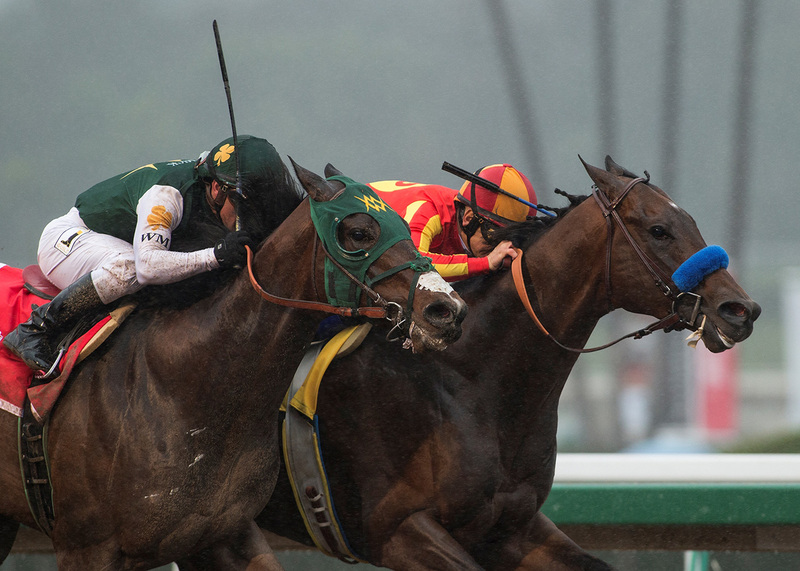 He’s one of the leading contenders for the Derby, and in the recent Kentucky Derby Future Wager, Bolt d’Oro was the favorite (6-1) of 23 individual Derby hopefuls when Pool 3 opened on March 9. He closed at 7-1, the second favorite among the individual interests behind Justify (6-1), with the field the overall favorite at 4-1. 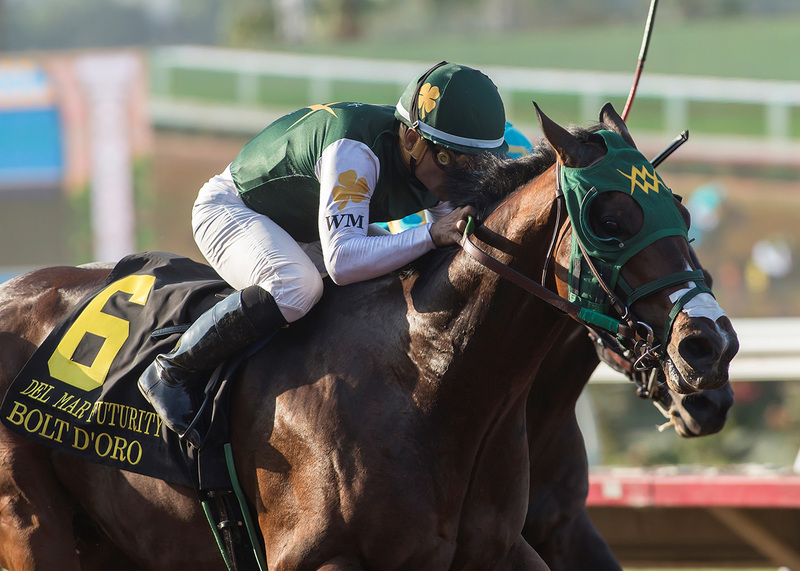 Bolt d’Oro will be one of the betting favorites when the morning line is released days before the May 5 Kentucky Derby. 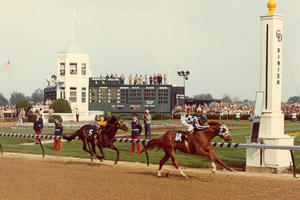 The full field will be determined following the final Kentucky Derby prep races in April. Bolt d’Oro finished third in the 2017 Breeders’ Cup Juvenile (G1), but did not have a good trip breaking from the 11 post, running wide on both turns and having to rally from the back. But this well-bred Medaglia d’Oro colt owned and trained by Mick Ruis is capable of becoming the first Kentucky Derby winner for his elite sire. Medaglia d’Oro, who sired the great Hall of Fame filly and 2009 Preakness Stakes (G1) winner Rachel Alexandra, led all stallions in North America with seven different Grade 1 winners in 2017. 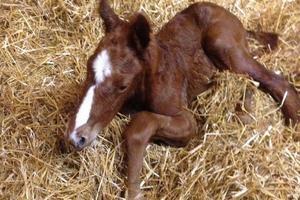 The prevailing trend of those winners was stamina, with influence by A.P. Indy. All but one succeeded at route distances. 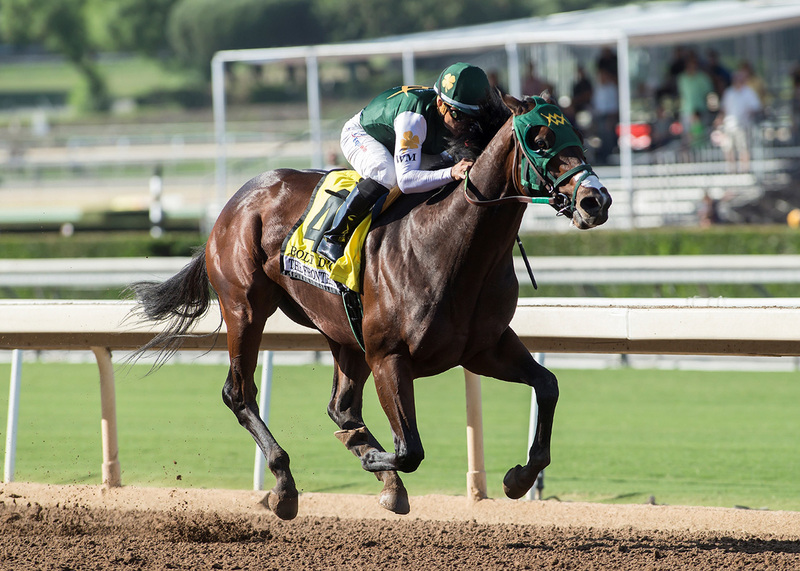 Bolt d’Oro won the Del Mar Futurity (G1) at seven furlongs, then stretched out to win the 1 1/16 mile FrontRunner (G1). 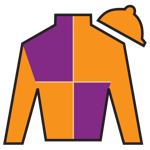 His 2018 debut win in the San Felipe (G2) sets him up for a final Derby prep race in the 1 1/8-mile Santa Anita Derby (G1) on April 7 before he runs for the roses in the classic 1 1/4-mile Kentucky Derby.